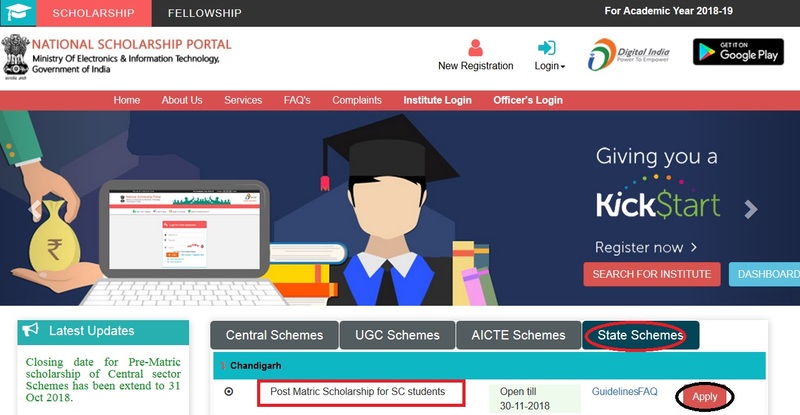 Scheme of Post Matric Scholarship for students belonging to Scheduled Castes for the year 2018-19. The objective of the scheme is to provide financial assistance to the Scheduled caste students studying at Post Matriculation or post secondary stage to enable them to complete their education. 1. The scholarships are open to nationals of India. 4. Students pursuing post graduate courses in medicine will be eligible if they are not allowed to practice during the period of their course. 6. All children of the same parents/guardians will be entitled to receive benefits of the scheme. 7. Employed Students whose income combined with the income of their parents/guardians does not exceed the maximum prescribed income ceiling are made eligible for post matric scholarships to the extent of reimbursement of all compulsory payable non refundable fees. 8. Scholarship will be paid to the students whose parents/guardians income from all sources not exceed Rs. 2,50,000/- per annum. 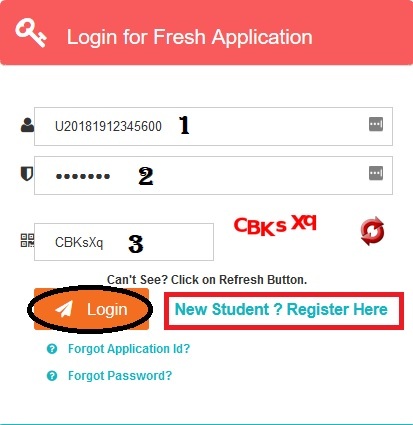 Step 3 : After that Click Apply link in the “Post-Matric for ST Scholarship 2018-19” under Chandigarh. 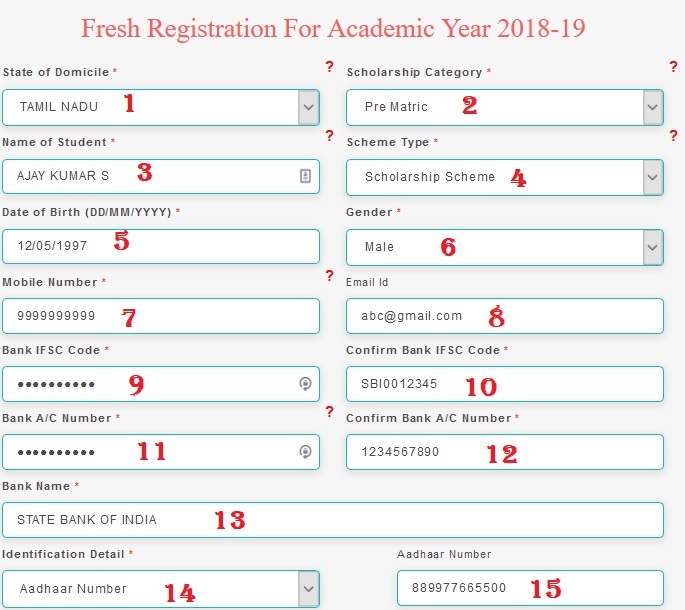 a. one copy of the application for scholarship in the prescribed form (separate application forms as have been prescribed for ‘fresh’ and ‘renewal’ scholarship by concerned States/UTs). b. One copy of the passport size photograph with signatures of the student thereon (for fresh scholarship). c. One attested copy of certificates, diploma, degree etc. in respect of all examinations passed. d. A certificate (in original) of Caste duly signed by an authorised Revenue Officer not below the rank of Tehsildar. e. An income declaration by the self-employed parents/guardians, stating definite income from all sources by way of an affidavit on non-judicial stamp paper, Employed parents/guardians are required to obtain income certificate from their employer and for any additional income from other sources, they would furnish declaration by way of an affidavit on non-judicial stamp paper. f. A receipt in acknowledgement of the scholarship in the previous year on the form attached to the application only duly counter-signed by the Head of the Instituion concerned, if the application was in receipt of a scholarship under this scheme in the preceding year.